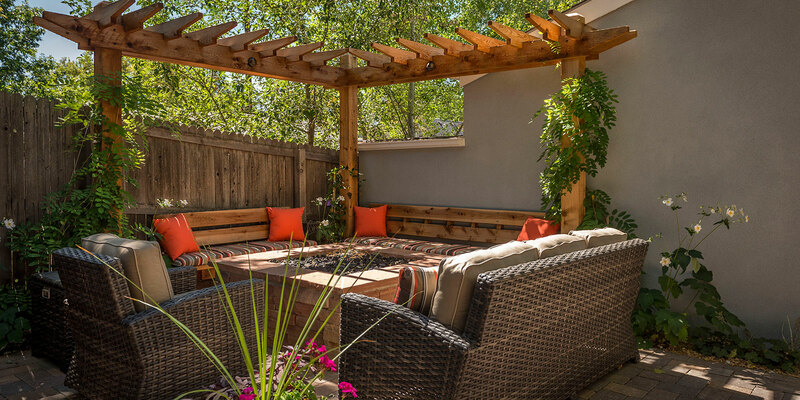 Since Colorado boasts of over 300 days of sunshine, it only makes sense that you create a backyard living area to entertain friends and family throughout the entire year. 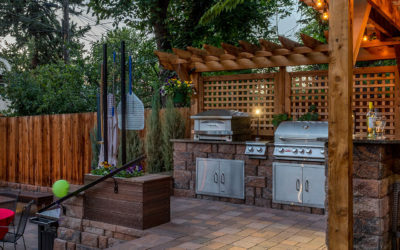 When you hire Denver Landscapes to design and build your outdoor kitchen, you’re hiring one of the best in the business. Outdoor kitchens allow you to prepare a meal while your guests mingle around the bar area. 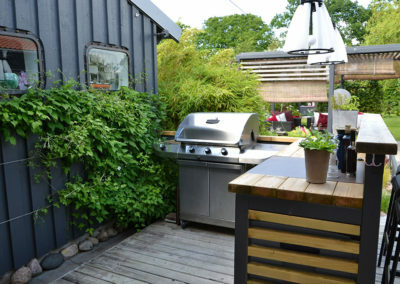 You can even clean up after the meal in your outdoor kitchen. 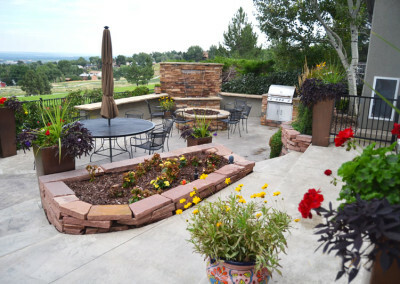 Design your patio to include exposed aggregate concrete, gray concrete, flagstone or pavers as the patio seating area. Design your kitchen to include amenities that makes cooking and entertaining outdoors amendable. 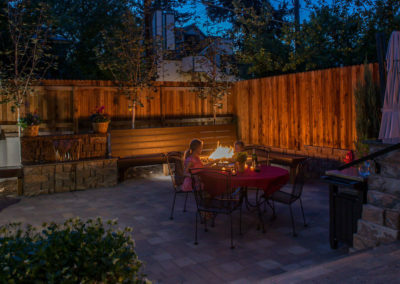 Add lights to your outdoor kitchen so you can see what you’re doing as well as allowing you to entertain into the late hours of the evening. 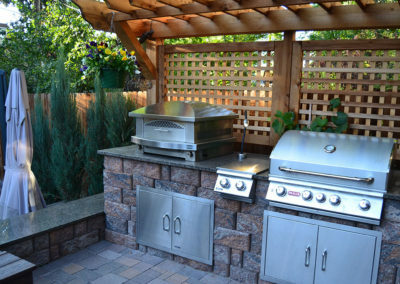 Choose your cover to protect you and your family from the sun, wind and rain. 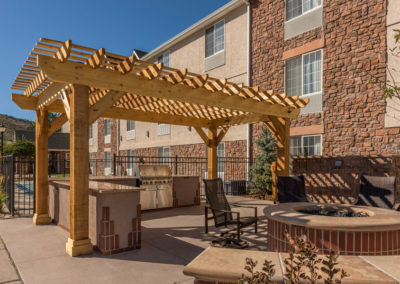 Your choices include a customized pergola, awning or canopy. 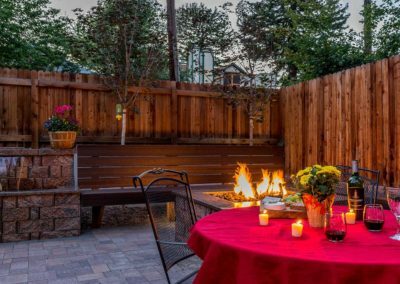 Depending on your desires for your outdoor rooms, you can build more than one or two entertainment spaces. 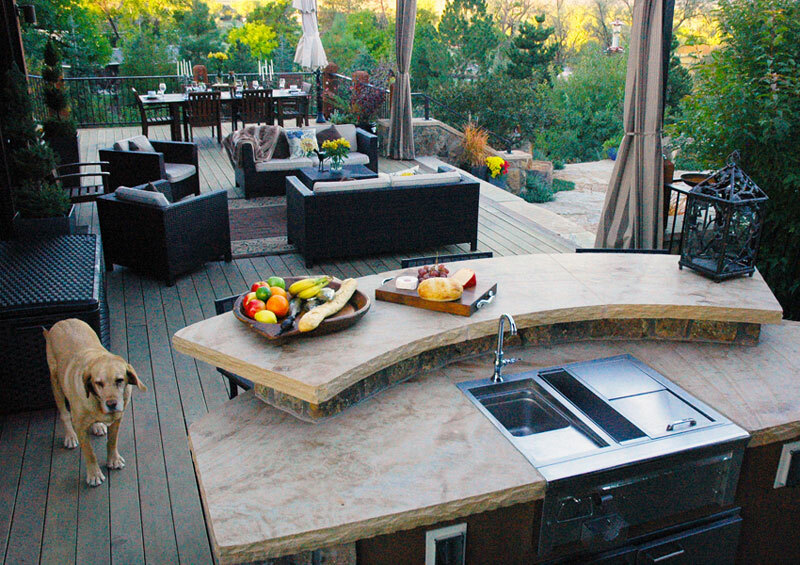 You can add audio visual system that includes a stereo for surround-sound music. 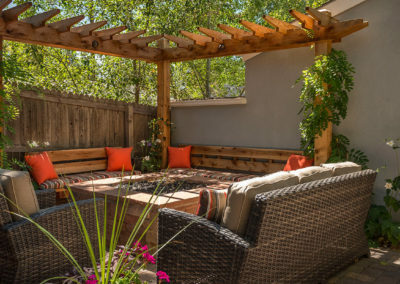 You can include a pergola or awning for your protection. 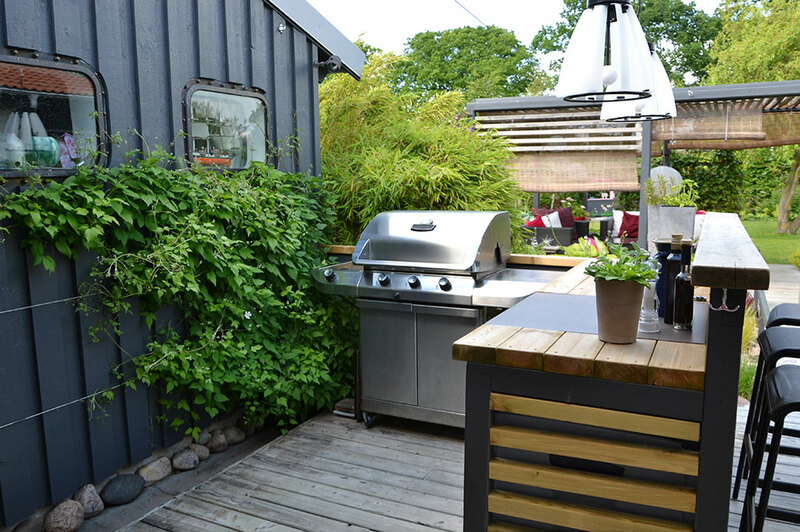 These are only eight ideas to help you brainstorm. 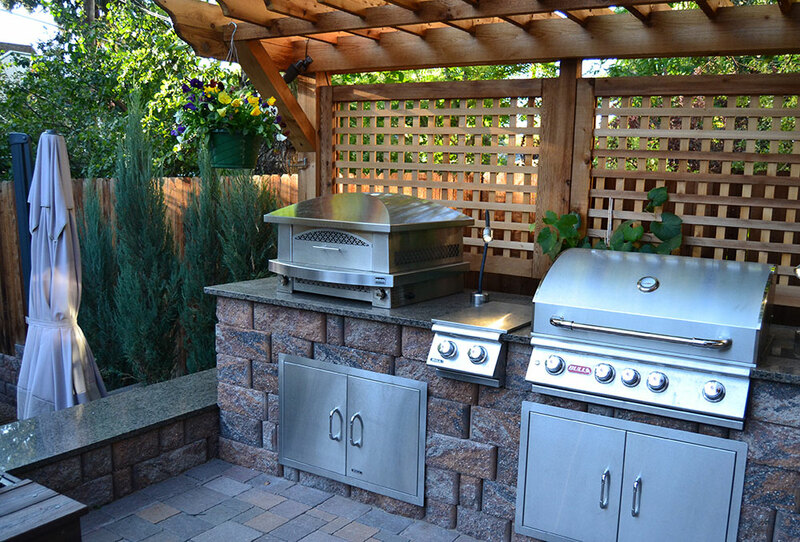 We can help you with your design to meet your needs and show off your unique personality. At Denver Landscapes, we’re your one-stop shop for all of your landscaping design/build needs. 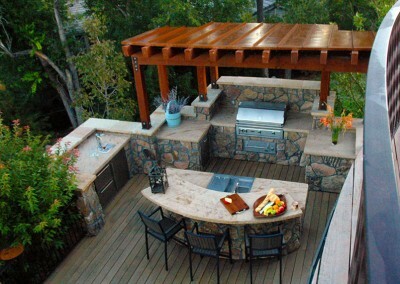 We take care of all municipal and city permits as well as each part of the design/build process for you. 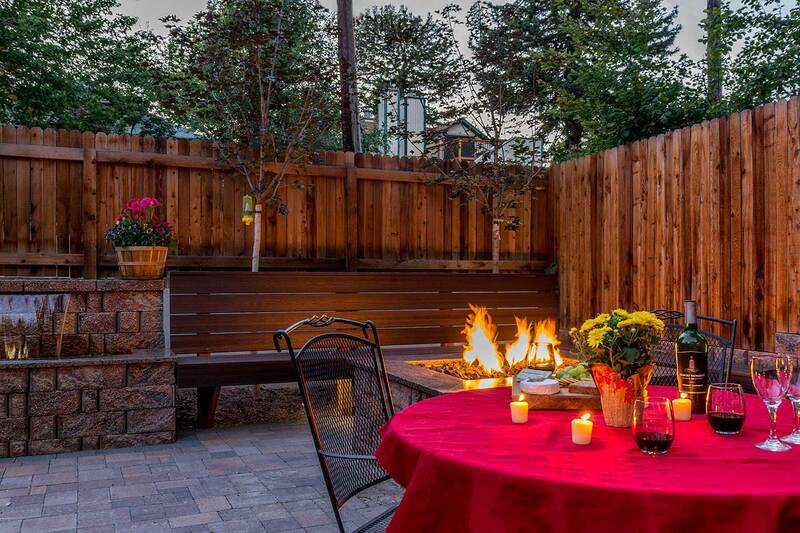 We hold many licenses and certifications with various hardscape and landscape industry groups. 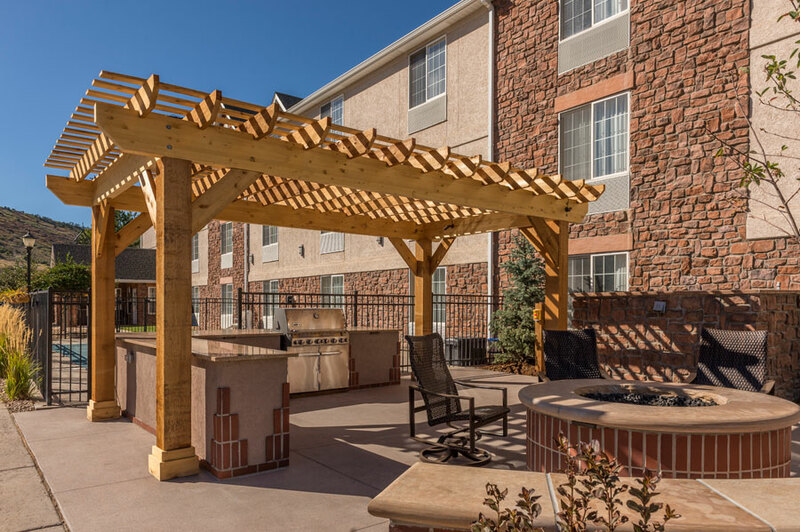 You can feel confident that you’re hiring only the best when you hire us for your next project. 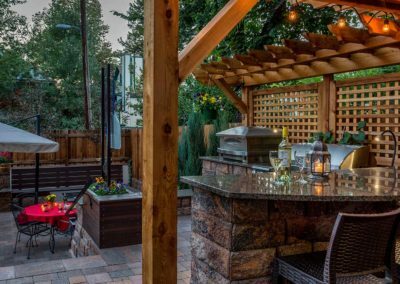 If you’re ready to design your outdoor kitchen and outdoor living areas, call us today at (720) 855-3964 or fill out our contact form. 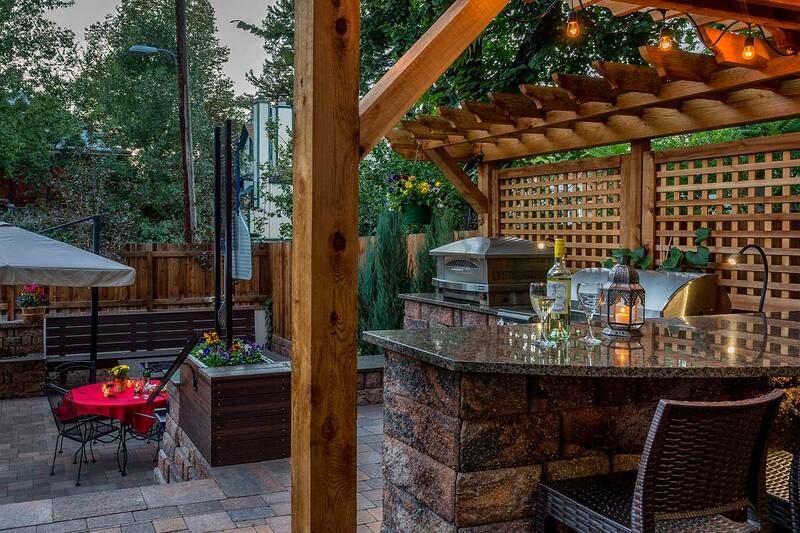 Get a taste for the outdoor kitchens and entertainment ares that projects that we’ve done for our clients.